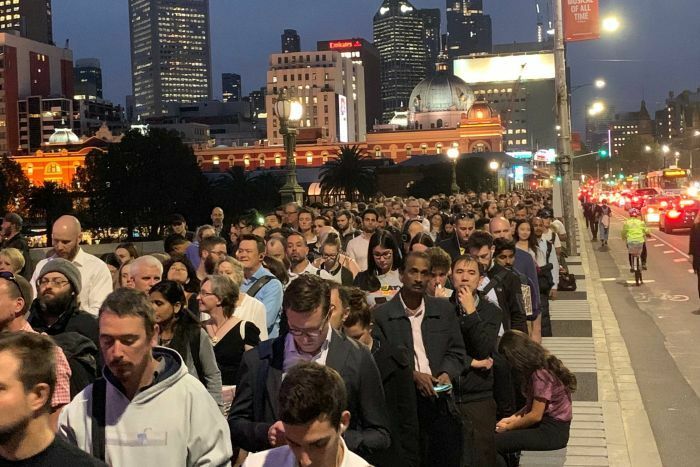 Commuters using the Sandringham train line in Melbourne endured long delays on Monday night after an elderly woman was hit and killed by a train, causing the line to be suspended. The woman was struck at a pedestrian crossing between Brighton Beach and Hampton stations about 4:00pm. 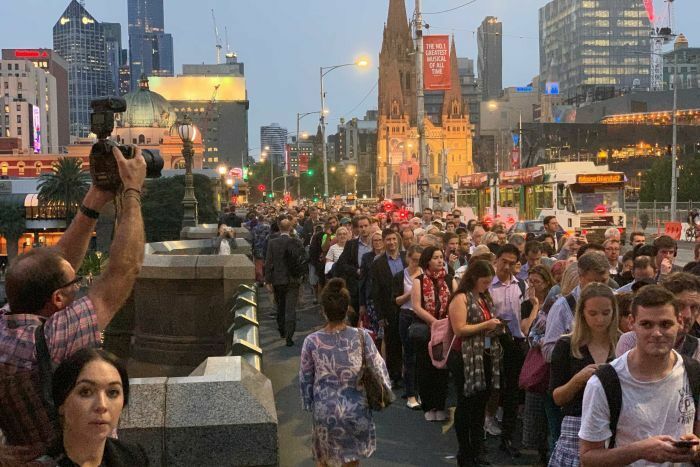 Long queues stretched from the Arts Centre, where replacement buses were departing, all the way across Princes Bridge to Flinders Street Station. Passengers were waiting more than half an hour to get a seat on a replacement bus. James Oaten tweets: That @Uber surge pricing is kicking in due to huge line for replacement buses. Was $26 just 10 min ago from Southbank to Caulfield. Now it’s $54. Trains on the line resumed about 6:30pm, but delays continued well into the evening as trains were positioned and the backlog of travellers were cleared. Public Transport Victoria spokeswoman Georgia Main admitted many travellers had faced “a very tough trip home”. The disruptions on the Sandringham line came on top of planned service changes on the Frankston, Cranbourne and Pakenham lines. Buses were replacing trains on those lines between Flinders Street Station and Caulfield to allow for construction work to be carried out. 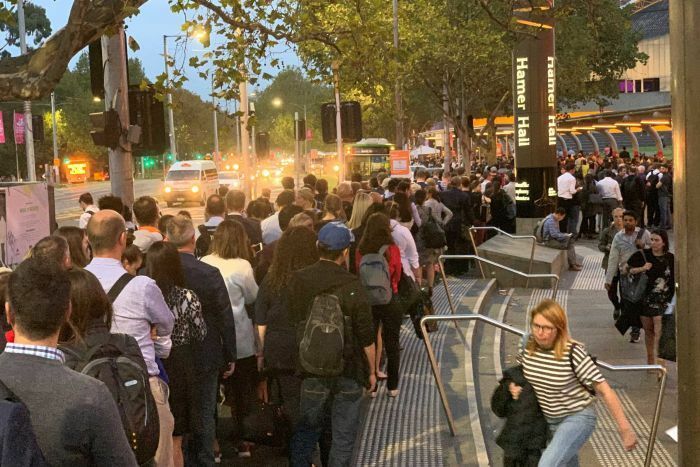 On Twitter, Public Transport Users Association spokesman Daniel Bowen described the combination of events as “the perfect disruption storm”. Mat Burhop was left queuing for a replacement bus to Sandringham for more than an hour. “All I want to do is get home and watch Game of Thrones,” Mr Burhop said. “I would wager I might get home in three hours. Amy Welsh is usually on the Frankston line, but decided to drive to Ripponlea and take the Sandringham line thinking it would be quicker. She was queuing for over an hour and said the lack of communication was frustrating. “They haven’t told us where the line actually is. I had to go back 200 metres behind me and re-join the [queue for buses for the] Sandringham Line,” she said. Miles Kendall, who was trying to get to Gardenvale, said he was confused by the situation. “It’s chaos everywhere,” he said as he queued for a bus.